Millennium 7 Publishing Co.: How To Get Millennials To Buy From YOU? 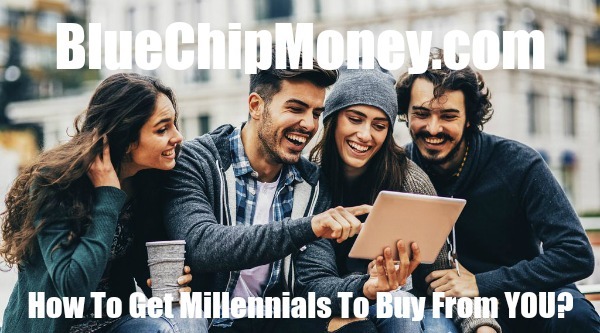 How To Get Millennials To Buy From YOU? How to use social media to get millennials to buy from you. By following these tips, you'll be sure to create a digital presence that captivates millennial consumers..
1. Thirty percent of millennials purchase products directly on Facebook. 2. Facebook, Instagram and Pinterest foster the most brand trust and help young adults find discover products they would actually use. 3. Snapchat is irrelevant for ecommerce and branding -- only 5 percent of millennials believe it creates the most trustworthy relationship. 4. Sixty-one percent of millennials trust a friend's endorsement the most, followed by their own experience with a brand (51 percent) and website reviews (48 percent). 5. Thirty-one percent of respondents said social media influences their purchases. However, they complete the transaction elsewhere. Related Article: YOUR New Social Media Platform Tools? After all, if brands were left to guess which platforms would appeal to a younger demographic, they might find themselves going all-in on Snapchat. However, despite boasting a hefty 300 million active users, Snapchat lacks the finesse, brand discover-ability factor and website traffic capabilities to truly inspire meaningful purchases or build long-term brand growth. Related Article: YOUR Social Media Influence Strategy? Related Article: How YOU Blow Up On Social Media? --Ensure you also publish non-paid social media posts. --Respond to comments and customer service requests. --Create campaigns that engage consumers. --Ensure your imagery and messaging. --Don't just promote your products -- add some informative posts and information to your social channels, too. Guest Authored by Gabriel Shaoolian. Gabriel is the founder and director of DesignRush, a digital destination for designers to inspire creativity and career growth. Previously, he was the founder and executive director of Blue Fountain Media, a full-service NYC digital agency focused on growing brands online. Follow Gabriel on Twitter. Related Article: YOUR Holiday E-Commerce Social Media?